For Essex Book Festival 2018, our friends at Chelmsford Theatres are putting on some excellent literary related and book inspired events this March, celebrating reading, writing and the book in all its forms. Top British mountaineer, big-wall climber and winter expedition specialist, Andy has soloed the most difficult routes in the world. 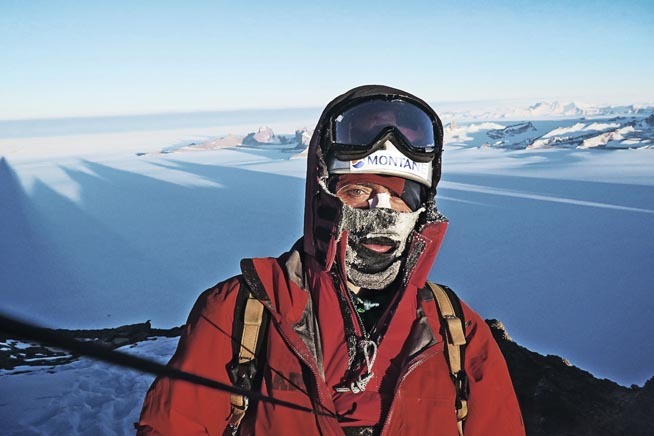 A leading expert on climbing gear, Andy is also an award-winning writer and film-maker with an ability to captivate any audience with his unique brand of humorous and motivational story-telling. In his brand new show, Psychovertical: A Higher Education, which will coincide with the release of the film Psychovertical by award-winning director Jen Randell, Andy Kirkpatrick looks back at forty years of climbing and adventures, from the Alps to Patagonia, Yosemite to Greenland, a story all the things that make life amazing.